Varcas Interactive is an agency which helps in branding with their innovative marketing strategies. 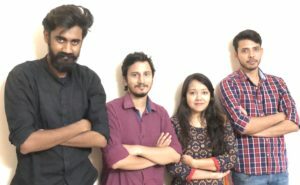 They are based out in Bangalore founded by Sonu Singh, he started this with the vision to cater the needs of upcoming companies into Designing, Social Media Marketing, Web Development and Data Visualization. We forge a unique brand persona for our clients, humanizing the brand by telling their story. This allows the brands to connect with their audience embedding brand loyalty and creating a special bond. Check out what Sonu has to say about his journey as an entrepreneur. I am sure his interview with us will inspire you. Varcas Interactive is a Bangalore based creative agency that focuses on innovative designs and dynamic representation of ideas that transform brands into lifestyle. We forge a unique brand persona for our clients, humanizing the brand by telling their story. This allows the brands to connect with their audience embedding brand loyalty and creating a special bond. Varcas interactive specializes in Designing, Social Media Marketing, Web Development and Data Visualization. I had already embarked upon my entrepreneurial journey in the eSports segment hosting & conducting gaming tournaments and events . It was with my first company “Pixelate Gaming” that I faced a common problem that every new business owner goes through; Branding & Marketing. Like every other early stage startup I started to handle designing, content writing and digital marketing for my company. I had always been a creative, having pursued Game designing from AIG. My expertise in understanding gamers expectations in design and interface allowed me to design effective engaging social campaigns with minimalistic and clean themes. Then I found out this problem is being faced by many small scale companies who really have good potential to grow but just because they have no or less money to spare for marketing and branding, their stories and ideas fail to get social exposure eventually having to call quits. This gave me a purpose to tell their stories and give a voice to these brands and startups. It is an amazing feeling to be there when a brand starts and eventually seeing them grow big. We help Startups and businesses humanize their brand, tell their stories to make the brand more reachable, fill the communication gap between them and their customers. We take out the burden of online marketing and Branding from their shoulders and let these business do what they do best. I am a serial Entrepreneur. It didn’t take long after finishing high school to start my own venture. In the year 2009, competitive gaming had started making its mark in India. To compete in these tournaments you needed a team of 5 players. It had my full attention and quickly I formed a team “The Werewolves” to play Call of Duty 4 and start competing in tournaments. At a point of time we had 45 members in our team competing in 5 different games all around India and winning cash prizes. The problem was, we grew too fast and it became too big for me to handle. So I formed a company Pixelate Gaming to manage the team and host tournaments to turn it into a sustainable venture. I clearly lacked experience and knowledge to run a business back then leading to failure. But I was clear what I wanted to do and what made me happy, so I pursued Game Designing. Then I needed more knowledge about running a business, so I joined a leading distribution company Faxtel Systems and worked there as a Marketing Analyst. I left the job after a year and started Varcas Interactive which brings digital marketing and branding well within the reach of small scale businesses and startups. Over the years I have been a part of other startups as well. I launched a luxury tea brand “The Tea Philosophy” and got a investment for it. Currently I am also working on an eSports platform to tap the untapped and scattered market of eSports. Varcas Interactive is based out of Bangalore. The advantage of Bangalore is that you are always up to date with the recent advancements in the IT sector and finding a smart solution is the approach here. Another advantage would be networking and being able to connect with like-minded entrepreneurs. People come here with their dreams to follow their passion and create something and we help them to do it. 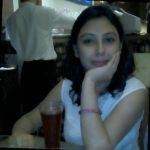 I think I am paranoid about trying new marketing strategies for the brands we create, as many of them are new, fresh and unique startups so marketing campaigns also become challenging. What keeps you awake at night? I think my momentum, being in an environment where we always have our thinking caps on. Ideas, opportunities and solutions all form a college when I close my eyes. There is a huge competition in the field of creative and digital marketing agencies. We are in a crowded marketplace, now almost every other company is doing social media, designing and web development. But again there is huge scarcity of quality work in these fields at the same time. The major problem is companies opting for low budget designs and marketing solutions which follow a bookish approach when it comes to branding and social campaigns. There are big names in the industry who have been doing a great job and for a long time, actually they give us a great competition but again they turn out to be expensive for medium to small scale companies and also don’t have that personalized approach what we have with the brands. It is pretty hard to have a work-life balance when you are a startup founder. Lines between work and life become blurry. I remember I have worked for 21 hours straight without a break. In short, Startup is like having a baby, it takes up all your time and energy. At first it was hard, then eventually I got the hang of it. I have always had the support from my family to pursue what I wanted to do but there were times too when my parents told me to get a job when my business took a dip but I assured them that things will eventually turn out and they did. We are bootstrapped as of now regarding funding. We would love to raise funds for this business and we are looking for expanding our business to tier 2 cities where the concept of social media is rather new and competition is less. I don’t feel that people have any misconceptions about me as I always have a humble and clear talk with the people I meet for the first time, and the people who work with me are more like my friends than my employees. At Varcas Interactive we are regularly meeting people who starting their ventures. Listening to their ideas and crafting a brand identity for these companies has always been exciting. My day begins with a cup of tea and newspaper post which I visit office and check emails and updates. I make sure to huddle up with my team and make sure everyone is on the same page and understand if there are any problems hindering their work. Once that is done, I attend scheduled meetings and seek out new opportunities. I also check every project before it is delivered and make sure it is up to the standards. Then I go home and make sure to spend time with my family and plan for the next day. We are a small team and most of us have been working together for more than 3 years. Some of them have been my friends since college and others through references.